When we left the U.S. six years ago, we had the beginnings of our retirement savings. I had participated in a 401k plan with my first employer, which I then rolled over into an IRA when I went to another job. It wasn’t a huge amount of money, but it was a start. My husband, as well, had put a bit aside through his own company plan. An international move is a huge expense, and most of what we had we spent once it was converted into readily available cash. It went towards buying a car, new furniture, and putting a down payment on our apartment. Basically, we were starting over from scratch. Today, after five years with the same company, my husband has begun to build his back up, thanks to a modest company plan. But what about my retirement? I’ve been working for the same employer for four years now on a yearly renewing contract. I have the status of a “contractuelle” employee, which basically gives you zero benefits (apart from our fabulous health care system, which I would have anyway regardless of my job). Of course, I automatically contribute to government pension (the equivalent of U.S social security), and back in the day that would have been enough to ensure a comfortable retirement provided I had worked my requisite 37.5 years. Today, government pension isn’t in such good shape as it used to be, and as in the U.S. it’s important to have another plan for retirement savings. Since I don’t work for a company that offers me a savings plan, I have to figure out how to save on my own, no easy task in a system that is not geared towards private retirement savings. In terms of basic savings plans, I have two options: fixed-rate accounts and the variable-rate accounts. 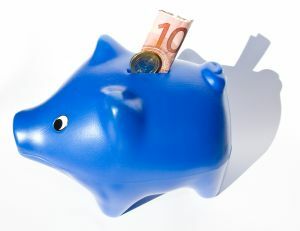 The fixed-rate accounts, or CAT (comptes Ã terme), allow you to invest a certain amount of money for a given period of time at a guaranteed rate. The return is not staggering but it’s a sure thing. If you’re interested in keeping money in an account for an indefinite period of time, a variable-rate account may be your best bet. Because we don’t pay much in taxes (contrary to popular belief, a very common phenomenon in our socialized country) we are eligible for a LEP account, which allows us to save up to 7700 euros each, tax-free. The Livret A account is very popular and has only recently become widely available. It allows savings of up to 15300 euros per account. Accounts are available to children as well, so we could have as many as four for our family. When it first opened up to multiple banks, it was at a good rate; however, the rate has since gone way down and the return is now minimal (though only marginally below that of the LEP). But again, it’s a sure thing. I’m not someone who likes to gamble with money-I like a sure thing. My husband is more of a risk-taker and ultimately, probably more realistic when it comes to our finances. At our age we need to take a few risks to make up for our slow start to retirement savings. In terms of stock market accounts, there is the PEA (plan d’epargne action) which can be opened in different forms depending on your portfolio. If held for at least five years, the capital gains are tax-free. So what’s the best way for me to plan for my retirement? As someone with a minimal amount of financial knowledge, how can I make the most of my savings? Note: As I’ve said, I’m no financial expert. Any mistakes or misinformation is entirely the fault of my own limited knowledge. However, this is the way the system works to the best of my understanding. I’m not an expert nor do I have experiences in these different types of French plans so I can’t give you any advice. However, as long as you have enough in emergency fund (I’d say at least 9 months of expenses since you have little ones), do start investing in something; even if it’s not a retirement account. Good luck! Oooh! great topic and very timely for me. We just moved to France in July of 2009 and I’m finally getting over the chaos enough to start thinking of retirement savings. My husband continued to pay into the French retirement system while we were in the States, so he should be ok–as long as the French retirement system remains ok. We’ll see! We have our IRA’s in the US and I’m considering doing my investing basically in a mix between the US and France. I understand your worries about investing in something like the stock market that can move and change and lose it’s value, but if you don’t take a few risks, then of course you run the risk of your savings losing to inflation. . .The way I see it, I’ll plan and save to my best ability–but hey, you never really know what’s going to happen in the future. .-= Simple in France´s last blog ..Do you wish you spoke any other languages? =-. What do I know is from sites like this that taught me. So no expert here.